as my co-host on the Thoth-Hermes Podcast! Lena will start to work with me in the next few days and we will be producing our first episode together for the first days of May. This will make it again possible for Thoth-Hermes to appear in a regular rhythm as you were used to before. A Greek national based in the UK, Lena is a writer and freelance journalist with a lifelong passion for all kinds of storytelling. She holds two MAs in International Journalism and Creative Writing and a BA in English language and literature. Outside of Plato’s cave, Lena identifies as a ‘’gnostic Luciferian’’. Her journeys through the looking glass started at a very young age when she first encountered the esoteric world of alchemy and Hermeticism that set her on the path to ceremonial magick and traditional witchcraft. She practices Thelema and sabbatic craft, with an emphasis on dreaming and altered states achieved through shamanic trance and cites Andrew Chumbley (Cultus Sabbati), Peter Grey’s apocalyptic witchcraft and the visionary work of Austin Osman Spare as some of her influences. 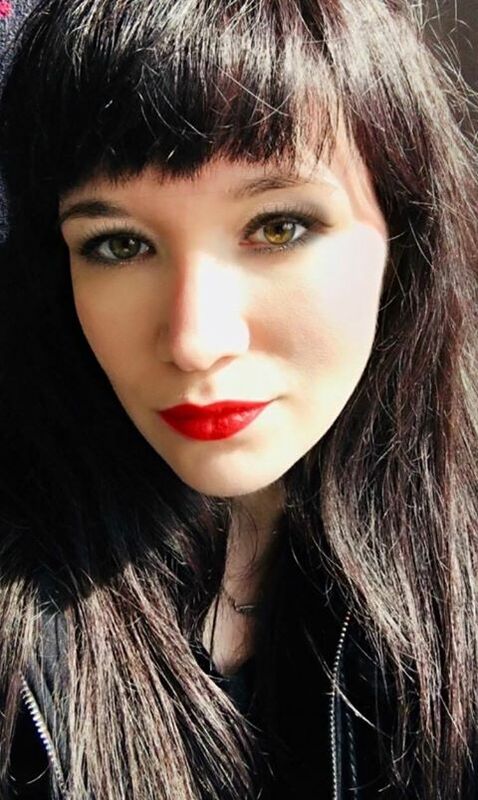 Some of Lena’s main interests include Watcher lore, poetry and the arts as magick, sabbatic flight, working with the personal daemon and the relation between daemonic imagination and artistic creativity. A mostly solitary wolf, Lena increasingly places emphasis on working magick with a pack as long as their stars are aligned. She is frequently to be found between the lines, mirrors, or on a train somewhere between London and Essex. Lena’s introduction is very impressive and I look forward to hearing her on Thoth-Hermes. as well as your insights! I look forward to your collaboration on THOTH HERMES as well as sharing your comments and experiences.